In the sustained readiness task (SRT) subjects are required to monitor the succession of presentations of a simple stimulus (red square) and respond as fast as possible at each stimulus onset. The rather long and random inter-trial-intervals (ITI) and absence of external stimulation other than the red square make it difficult for the subject to stay alerted (Klemmer, 1957). As such, response latencies are known to increase with fatigueness and sedative effects. 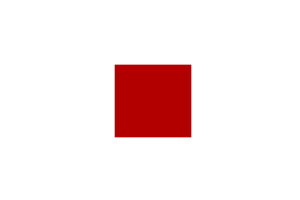 The SRT task is only asking for a simple response to each appearance of the same red square without the need to discriminate between different stimuli (Donders, 1969). The SRT task is focusing on decrease in response speed when subjects monitor a simple unpredictable stimulus over an extended period of time. In contrast, vigilance tasks focus primarily on the decrement of discriminating between signal and noise (Davies & Parasuraman, 1982). The sustained readiness task is an alternative way to measure the concept of sustained attention. Vigilance tasks require the subject to detect a specific target stimulus among non critical distractor stimuli (noise). It typically takes a long test period (20min – 60min) until there is a decline in subject performance in form of false alarms to non-targets or missed targets. This makes it difficult to measure vigilance in context of clinical trials which only provide limited time for cognitive assessments. But increase of RT is typically also observed in those vigilance task even before the subject begins missing targets. Parasuraman et al. describe techniques to accelerate the decrease in performance by using lower target probabilities or introducing target conditions that induced working memory load (Parasuraman, 1979). But then the nature of the task becomes more of a continuous performance task where subjects have to perform over a prolonged time at a rather high level. These tasks are very stimulating and perceived as challenging by subjects, which makes it more difficult to discover subtle differences in general alertness since subjects feel motivated and compensate. With lower target rates, the re-test reliability deteriorates since with fewer targets fewer measurements of hit and miss are available. For this reason, the sustained readiness task can be seen as method to measure performance decreases within a rather short time interval that relate to general state of arousal and subjective state of feeling tired and not energetic. Davies, D. R., & Parasuraman, R. (1982). The psychology of vigilance. London: Academic Press. Donders, F. C. (1969). Over de snelheid van psychische processen [On the speed of psychological processes]. In W. Koster (Ed. ), Attention and Performance: II (Original work published 1868). Amsterdam: North-Holland. Klemmer, T.E. (1975). Journal of Experimental Psychology, Vol 54, No. 3, 1957. Parasuraman R. Memory load and event rate control sensitivity decrements in sustained attention. Science. 1979;205:924–927.